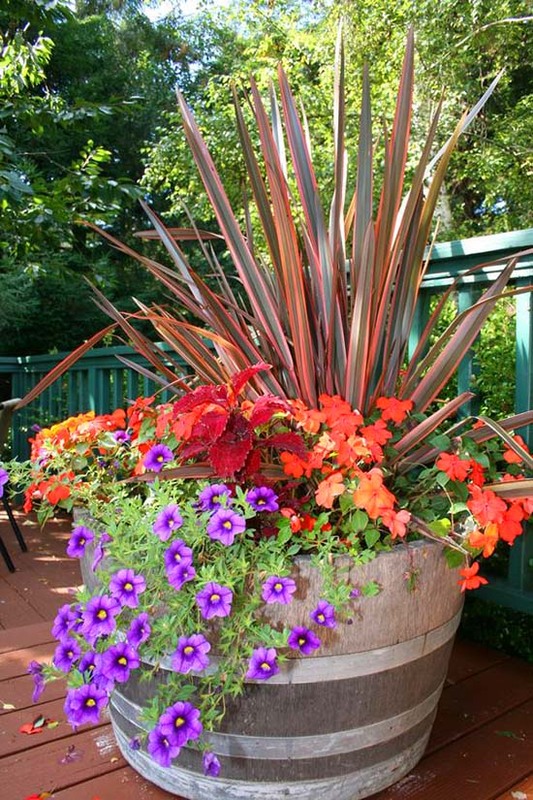 We know there are so many types of planters out there. The stores and the yards of our neighbors are probably full of containers. Some of these are just a waste while others can be turned into something very beautiful and appealing. 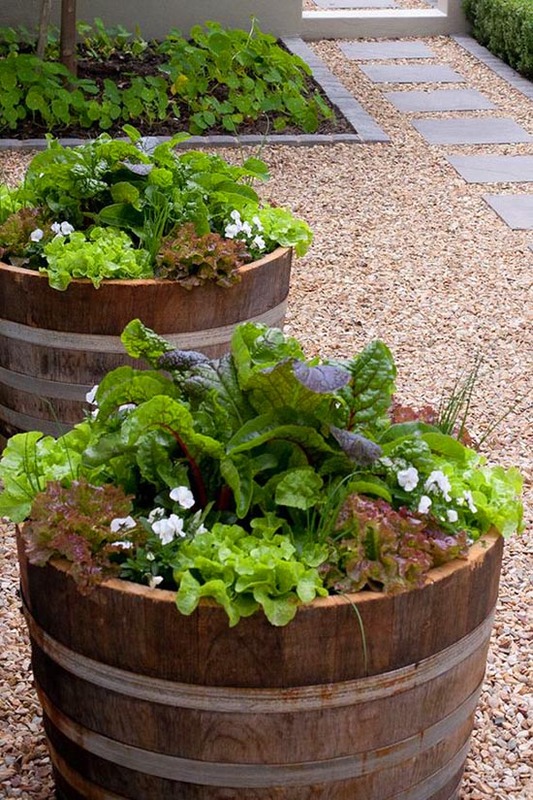 Wine barrels, while not very easy to find, could be great planters for small flowers and other plants. Wooden or plastic. If you have some of these laying around you can use them to plant flowers. 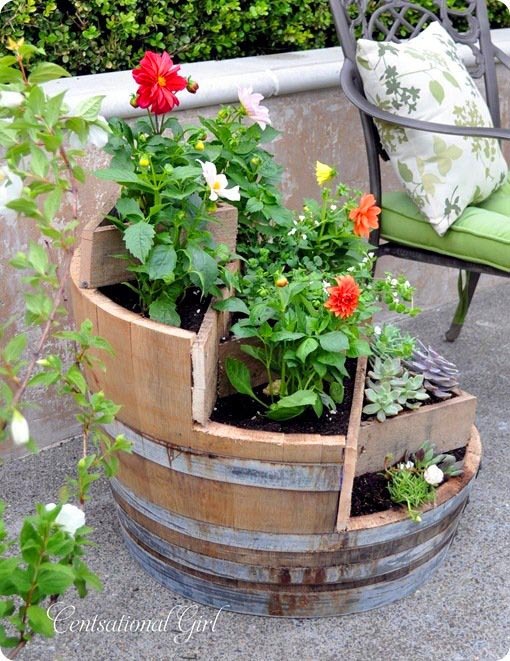 Old wine barrels are great for this purpose and could be used for a long time. Best of them are when they are lacquered and protected against moisture and rain. Use as many as you have and put different plants and flowers to make your yard and garden beautiful. It’s a dream world for gardeners and those who love working with their hands, experiencing the grounding effect by sustaining a beautiful garden. 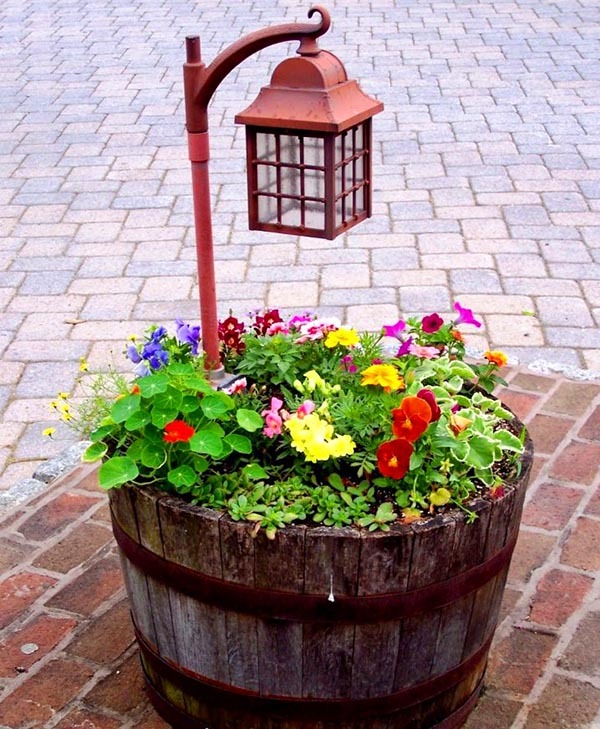 Although it looks like a tree it’s a second flower pot mounted on the rod so that the flowers look like a tree. This big wine barrel has been revamped and given a new life. Gardening here means – get it out of the basement, clean it up as much as you can and prepare to fill it with good soil. Once you have enough soil on the bottom, start rooting the plants and even add a tree of the family of palms, if you wish. This wine barrel is adapting well to its brand new lifestyle in the park. Here is a reminder for us! Wood is non-toxic and we can easily use these in the park, the woods or our own gardens. The environment will be not be polluted and the rest of us will be thankful as well. We rarely think about how much plant species are actually of service to us. Not only do they purify the air, the Kingdom of the plants makes the environment bearable for us. Their natural green colors help us enhance our immunity to all the outside stimuli. These little barrels can be the little miracle places to stop on the street. This bright idea is worth implementing. 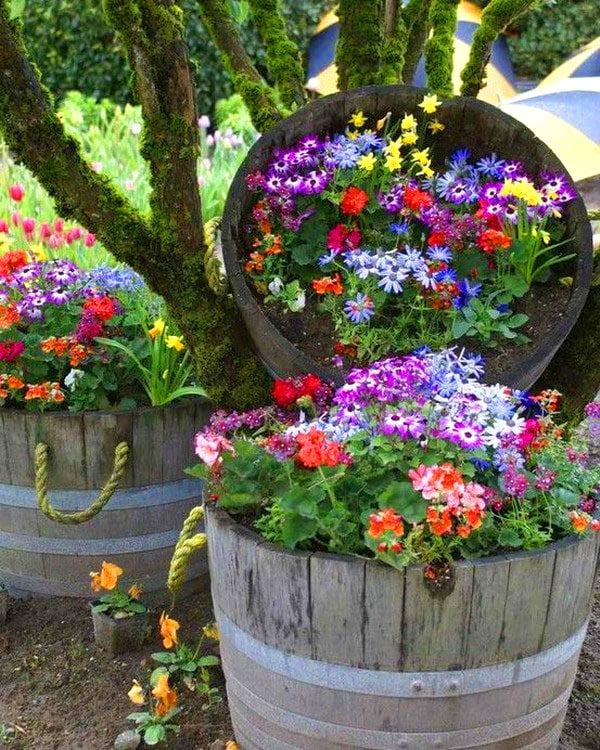 This is a small installation that consists of a plant, a barrel and the joyous company of the flowers. There is a little lantern on top that reminds of the streets of Paris. 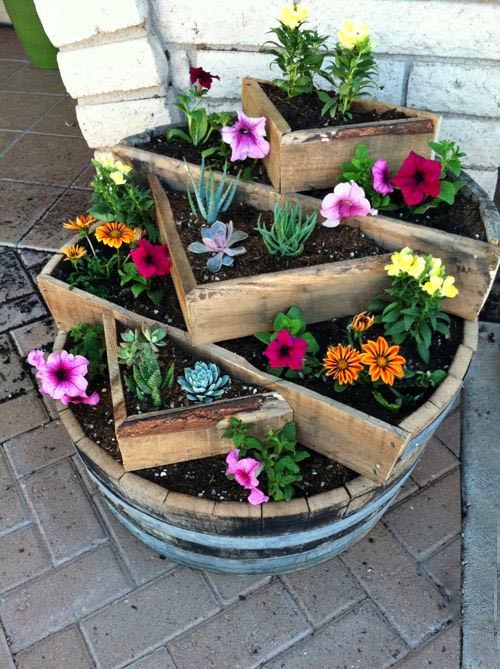 This type of DIY idea makes you feel one step closer to nature. It’s a poetic moment. 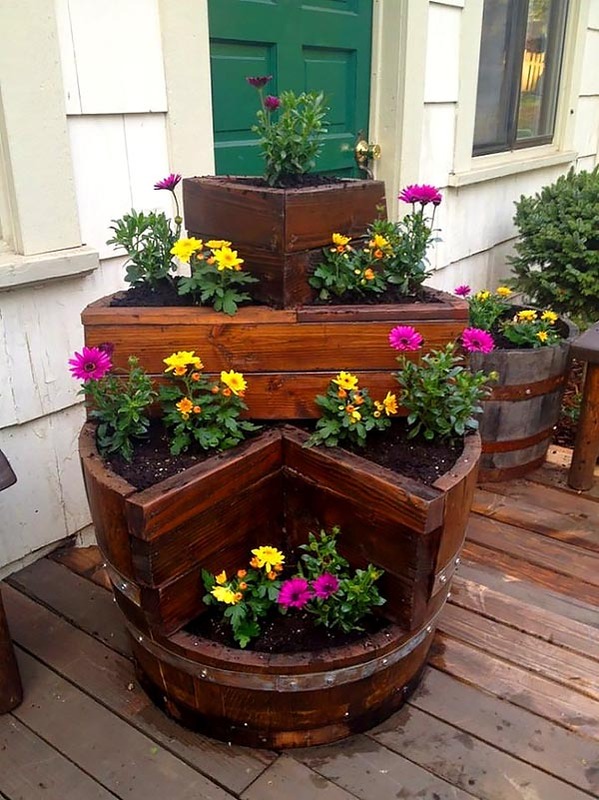 You can always use the wine barrels to create something unexpected. 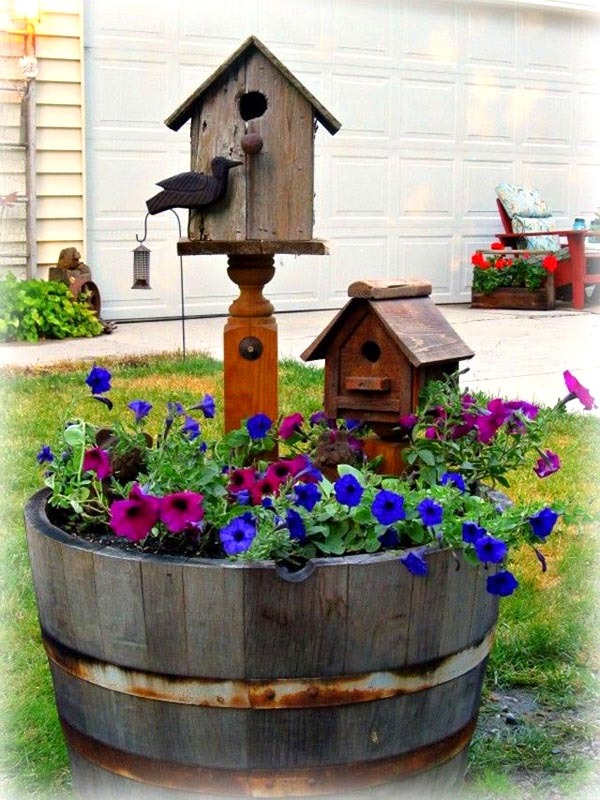 Look around in your house for bottles, jars or even for small wooden houses for birds. The more you play and enjoy this playfulness, the better the design will be. I have just given out the secret of creativity – playfulness. 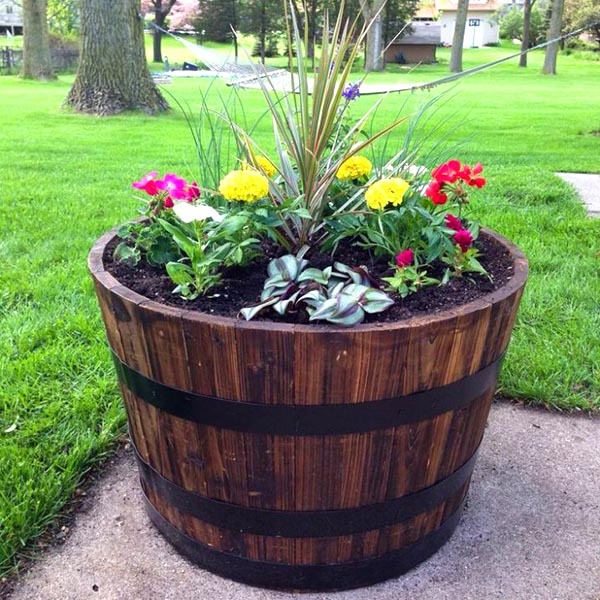 Barrel planters are the best. Especially when we have more of them in all sizes! 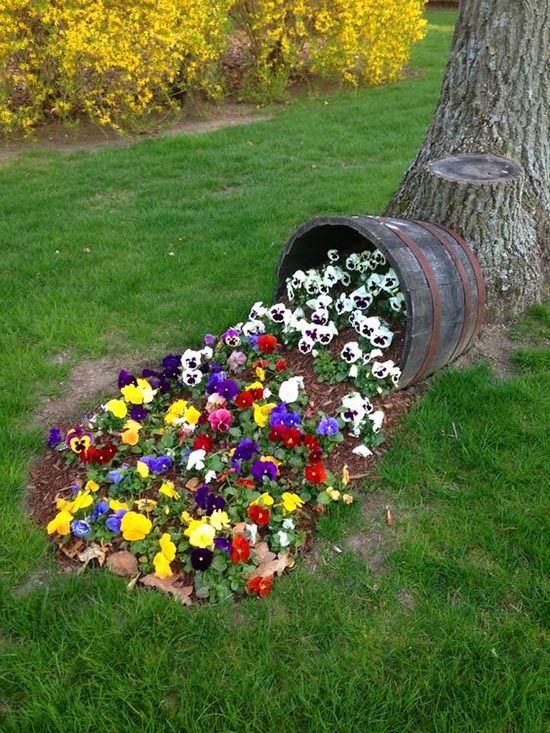 Find the biggest wine barrel and envision it full of flowers. This is a unique view, my friend and I am sure you can appreciate it. These beauties seem to float out from one of the barrels and dive directly into the other one. They say flowers are the children of Life, of angels, of divinity. Let’s plant flowers rather than break them or take them. It’s very simple sometimes. We do things ourselves in order to bring something, to create it. In the end, all the joy that we are showered with – we have sent an impulse, given something away from our heart. In order to know the secrets of everything precious, we must first create something precious or ourselves. Look at these fine colors, their beauty is not only affordable. It costs next to nothing to grab an old barrel, repaint it (if you wish) and make it shine again. What would parks be without flowers? The fragrance of each flower is so specific. It can be gentle, deep, alluring, rich and abundant. With all of that being said, we find that there’s secrecy behind the nature of these beauties. Where does this fragrance come from? It’s the mystic choice of the Creator, a complete and utter gift to us. The delicacy of white flowers is admirable. 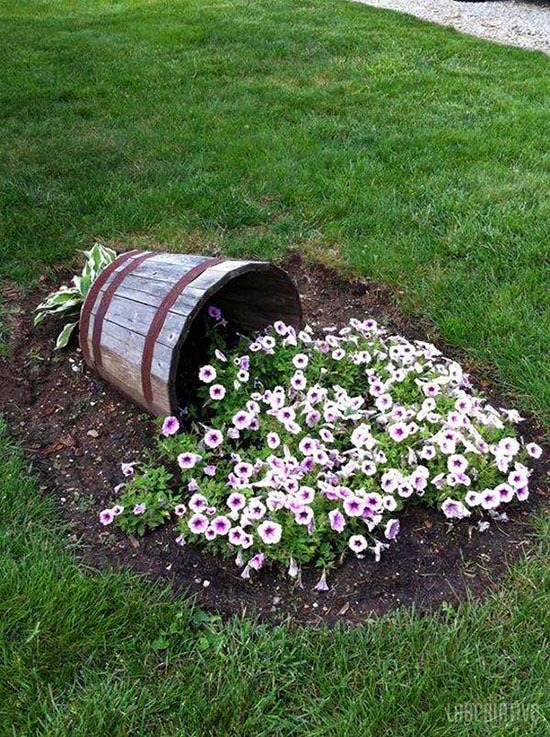 You can’t go wrong by filling an old wine barrel with such precious elements of nature. You can only sit back, marvel and enjoy their incredible looks. There’s a special journey that we take: back to our home, to our roots when we are in communion with nature’s gifts. Well, a backyard is sometimes a pretty boring place to be. 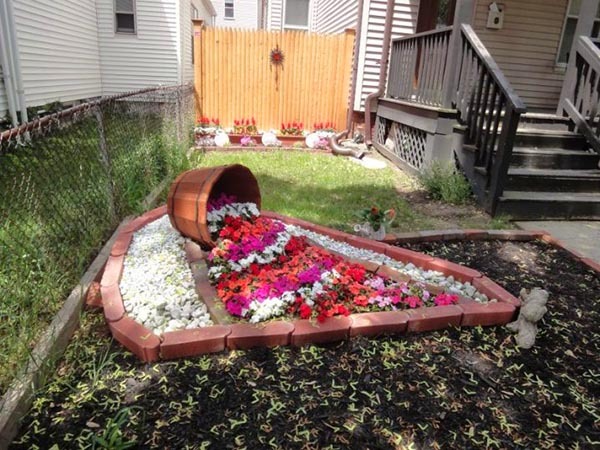 Building a brick flower bed can make the difference. It usually stores all that we no longer find a place for, lots of unusable items that we once thought were dear to us. In this case, this yard has been completely redone. 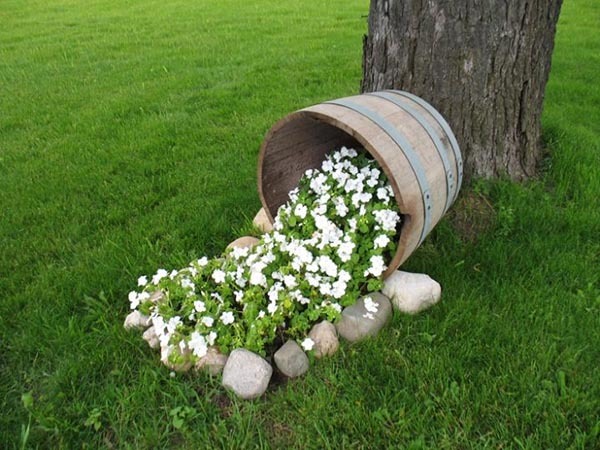 The very simple trick behind it: a big old barrel and the loving hand that gently placed flowers and stones. One of the most widely used plant species that are filled with water inside – succulents are the perfect heroes for our task. They are a perfect for a drought-tolerant landscape. This barrel consists of a couple of levels and the idea is pretty remarkable. Take it, spin it, twist it or turn it around completely – it would be great to have something like this inside your home. There’s a new take on our previous pick. 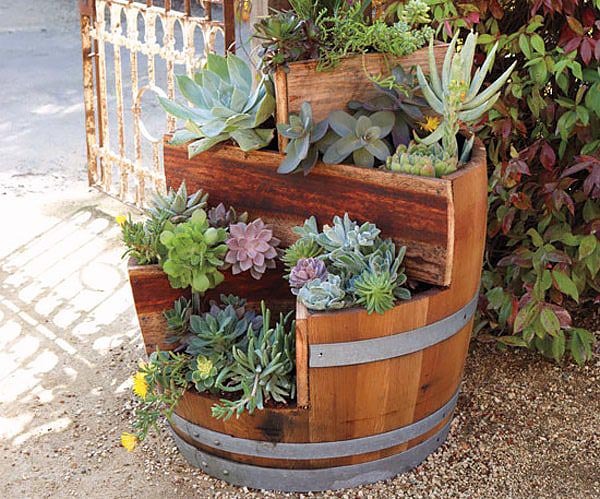 Instead of succulents, however, here we witness another pretty positive idea. Cut the barrel’s walls and create steps. Then simply add soil, moisture it with water and add your plants. The more stable your structure, the better it will hold through the windy days. As you have probably noticed, the previous barrel was placed in a garden. Home gardens are the best places for our DIY picks. We can all plant flowers, bushes, and trees. 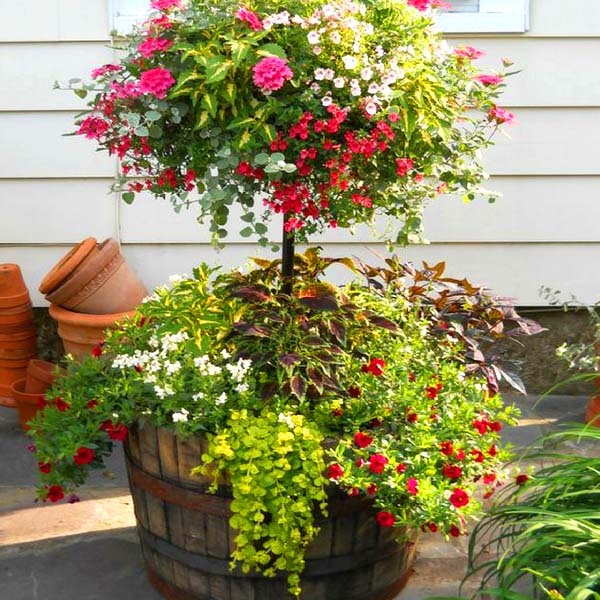 A barrel, however, adds a new characteristic to the garden. There’s something unexpected, lovely and rustic. 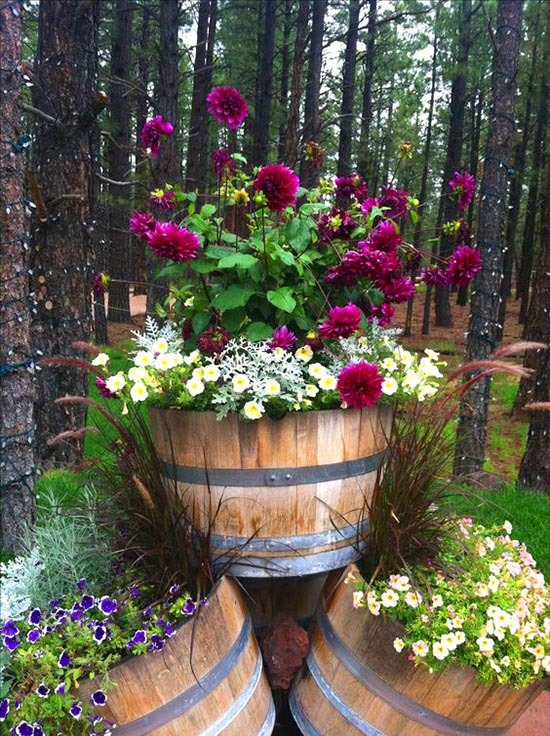 If you like some of these ideas you can try to replicate them at home, just find an old wine barrel and create your own wine barrel flower pot.